I haven't released these yet, but I might if someone asks. Is the first one War Machine? 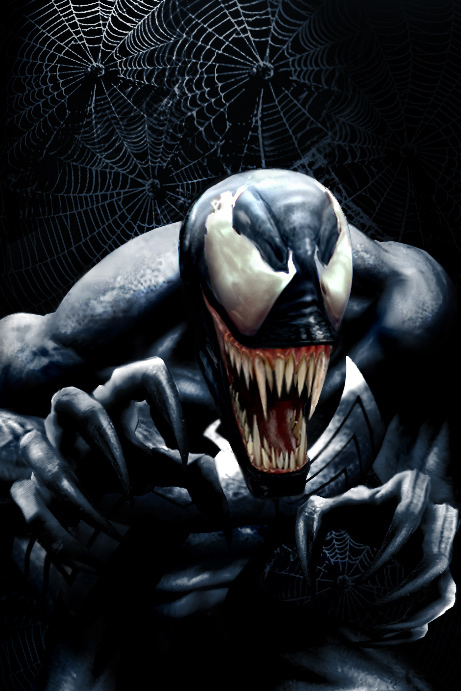 All looks good, especially the Venom one. AQT wrote: Is the first one War Machine? All looks good, especially the Venom one. Thanks, and yes that is War Machine. Btw he does have arms and legs the pic got screwed up, so I may have to retake it. Oh wait sorry now that I look at the reference picture it looks friendly and cuddly and looks as harmless as a teddy bear. Cleb wrote: Oh wait sorry now that I look at the reference picture it looks friendly and cuddly and looks as harmless as a teddy bear. 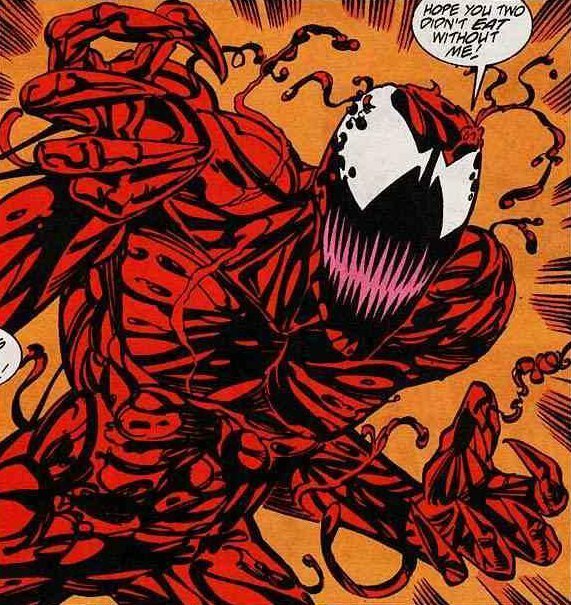 Edit: Should I do Carnage next? EDIT 2: Just made this Two-Face skin, what do you think? 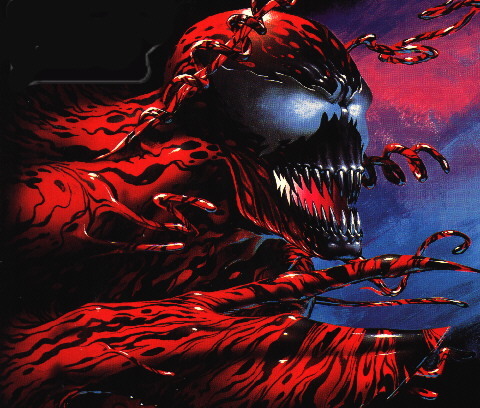 EDIT 3: Just made two versions of (Certainly-Not-Scary) Carnage by editing my venom skin. Is it wearing pajamas? It could have a sleepover party with that other one and me!! I think the two sides on the Two-Face suit should contrast with each other a little more. Right now I was hard-pressed to see the difference. CressAlbane wrote: I think the two sides on the Two-Face suit should contrast with each other a little more. Right now I was hard-pressed to see the difference. Yes, I agree, I'll probably remake it later today or tomorrow. The image is broken! Nooooooooooooo! Cleb wrote: The image is broken! Nooooooooooooo! Those look like pjs to me Can I have a plush version? Pleeeeeease? Cleb wrote: Those look like pjs to me Can I have a plush version? Pleeeeeease?